CaraMia, where we truly, madly deeply care about all things gifting and more..
Our MiniMia store is where you’ll find all the baby must-haves and nice to haves! Create your very own MiniMia or CaraMia registry for your loved ones. The CaraMia loyalty program is our gift to you that keeps on giving. Add even more joy to every purchase you make by accumulating reward points and adding value to your CaraMia shopping experience. Shopping online means earning points and points mean CaraMia cashback that you can on our website. The CaraMia loyalty program is value-added service from us to you in return for your ongoing support. The CaraMia and MiniMia It List. A collection of the ”Must Haves” and ”Nice to Haves’’ that have caught our attention, and keep us inspired. With expert advice from a qualified occupational therapist, we’ve handpicked must-haves and nice-to-haves from all over the world to make your baby shopping as easy as possible. 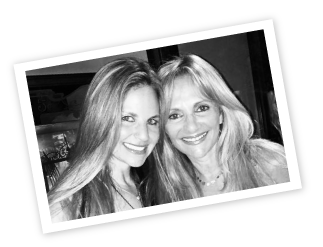 CaraMia is a mother and daughter’s passion for gifting brought to life. At CaraMia we truly, madly, deeply care about gifting and relish in the beauty of the discovery to delight those dear to us. Meaning ‘being loved’, the brand is synonymous with glamour, quality and value for money products that brings luxury to everyday life. Lose yourself in the colours, textures and charisma of must-have treasures. Every product is an experience; a decadent treat to tantalise your senses. Thank you for visiting our website, if you register now you will receive a voucher for your next purchase. If you have already registered, please login and thank you for your support.